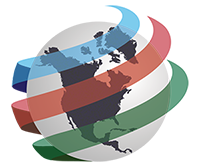 The G20 summit will be held on June 26-27 at the Metro Toronto Convention Centre preceded by the G8 summit which will take place in Huntsville, Ontario. The secretive meetings will be attended by world leaders, finance ministers, central bank governors, along with thousands of other delegates. It will be the largest security event in Canadian history exceeding the Vancouver Winter Olympics. Downtown Toronto will be turned into a security fortress with fences, barricades, checkpoints and street closures thus greatly affecting local residents. While the G8/G20 summits will attract their share of peaceful protesters, other more radical and fringe elements may try to capitalize on the event. Agent provocateurs might also be used whose actions could then justify a police crackdown and as a means to demonize all demonstrators. The G20 summit will deepen police state measures, as well as further integrate local, provincial, federal law enforcement agencies and the military. Security for the upcoming G20 summit will be the responsibility of the Integrated Security Unit, “comprised of the RCMP, the OPP (in the G8 context), the Canadian Forces, Toronto Police Service, Peel Regional Police and other law enforcement and security experts who will work collaboratively.” Ed Boltuc, a member of the G20 planning team for the Toronto Police Service stated, “The Olympics that you saw recently in Vancouver was actually the largest security event ever to take place here in Canada. 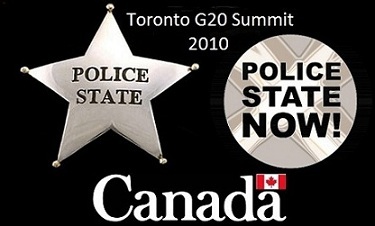 The G20/G8 surpasses that completely.” He went on to say, “There’s going to be a massive — absolutely massive — presence of police and security on the ground like you’ve never seen before.” The Globe and Mail reported that as many as 10,000 uniformed officers, along with a 1,000 private security guards will be deployed together with an unspecified number of Canadian soldiers. Foreign dignitaries attending the meetings will also have their own security detail. The federal government security costs are expected to top $179 million.